Sales At Ad-A-Print: Custom Embroidery on Ladies Vector Sport-Wick Polo. LST670. Custom Embroidery on Ladies Vector Sport-Wick Polo. LST670. 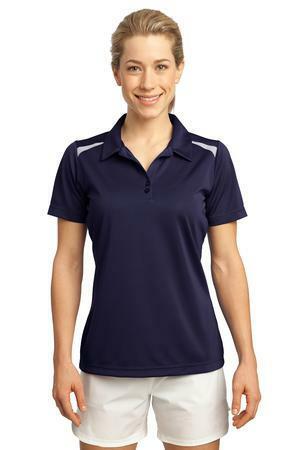 Sport-Tek® - Ladies Vector Sport-Wick® Polo. LST670. The ladies vector sportshirt wickPolo is a very nice-looking fitting polo shirt. You want to be out in the field looking sharp you're playing golf or polymer team and want to be identified or feel unify is a great shirt with several very unique colors. Don't wait this offer won't last. I had been searching for some updates in embroidered polo services since my recent past week and this work of yours impresses me a lot.